When you buy a home, you make arrangements with the bank to get a loan for the value of your desired property. That cost of that property is not the only thing you have to consider when making sure you have enough money, however. 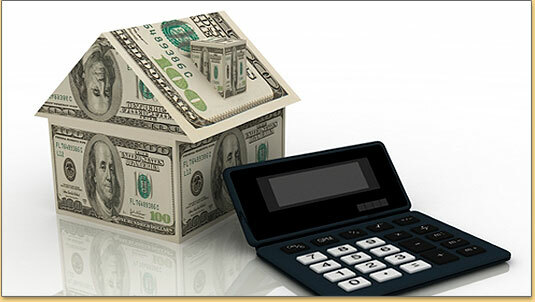 Along with the money paid to the seller of the home, you also have to figure in closing costs. Both sides of the sale have their own closing costs. Sellers usually have a few more closing costs than buyers, but no matter which side of the deal you are on, you need to understand how closing costs work. Once you know what to expect, you can enter an agreement with your lender that is the best for your needs. In some cases, the deal for a mortgage can include the lender paying the closing costs. Of course, that will add to the total amount of the loan, and higher monthly payments. You can pay the closing costs yourself, making those added fees a onetime expense with no interest involved. Or, it may work to have the lender share the expenses with you, so you can at least lower your extra loan value a bit. Many lenders advertise for business by attracting potential home buyers with “no closing cost” home loans. In these cases, be careful to look for the catch involved. Lenders rarely completely absorb closing costs. They may add the costs to the total loan as they do in some cases when buyers ask the bank to cover the closing costs. However, in some cases, the mortgage looks like it really doesn’t have those costs included and buyers think the costs have really been paid for by the bank. When a lender pays the closing costs, but the added amount doesn’t show up in the mortgage, take a close look at the interest rate for your loan. If you can get a loan at a lower interest rate, the chances are the lender upped the interest on your loan to cover the closing costs. The difference may not seem like a lot of money. The increase of interest is usually from one-eighth percent to as much as a quarter percent. Just before closing on a home, both buyer and seller will get a breakdown of all of the final costs. Along with the home there are usually two types of closing costs involved: mortgage closing costs and third-party costs. The mortgage closing costs involved all of the fees the lender feels are needed to cover their expenses in creating the loan such as documentation, underwriting fees and any discount points agreed upon to lower the interest rate. These fees are not regulated, and lenders often choose unique names to identify those added costs to a home loan. That can make it more difficult for a borrower to compare loans from various lenders. Instead of trying to compare the rates of each lender on a line-by-line basis, buyers are better off simply comparing the final costs of the total home loan closing fees between lenders. You can find closing costs in section 800 of the Good Faith Estimate your lender provides you with. Third-party closing costs are a part of any home purchase that have nothing to do with the lender. They include any services rendered in the completion of the sale of the home including title insurance, appraisals (if not paid for by the buyer at the time of the inspection), credit checks, well or septic tank inspections, pest inspections, service fees and, of course, fees to the Realtor. Bankrate.com compares typical costs for a home loan and estimates that buyers with a $200,000 mortgage can expect to pay about $2,539 on closing costs. These figures can vary greatly from state to state, county to county and even a little bit in one location depending on the companies used to perform certain services. It isn’t possible to close on a home without any additional costs. However, savvy home buyers can make sure they are getting the best deal possible by paying close attention to the costs and selecting the best options for their purchase. Here are a few tips to lower added fees at closing. It sounds like a great deal at first. Pay a little extra at closing to have a lower interest rate than what the current market allows. Each point usually costs about one percent of the total loan value, so a one point discount on a $200,000 loan would cost $2,000. That’s not a lot of money, and people tend to fear interest rates and want to get as low a rate as possible. The trouble with discount points is that they only make sense over a long term period. If you plan to stay in the home you are buying longer than 7 years, discount points make sense. However, buyers looking for a starter home, that may want to move up to a bigger house if they have a family or get a different job, people nearing retirement age or whose children are almost grown, may want to downsize in the near future, may not want to stay in the same place for more than 7 years. Banks like discount points. They make their loan APRs more attractive, and that brings in more potential business. Borrowers look at APR rates, even though they are not always a true reflection of the value of the lender’s offers. Buyers who carefully consider the options can make the best choices for their needs. Long-term home ownership with discounted interest rates may be a good deal. Discount points may be tax deductible in some cases. Once they are paid, though, there is no refund, even if you sell the home and pay off the loan early. While there may be costs involved, and some lenders absorb the cost of closing into the loan in one way or another, for some borrowers this may be a valuable option. Low or no-closing cost loans can help buyers with little available cash to pay less at the time of closing. In some cases, this incentive allows people who wouldn’t be able to afford a home get the property they desire. Low or no-closing cost mortgages are also a great advantage to buyers who know they will be moving, or will be able to refinance in the near future. Buyers who can refinance or sell their home within 36 months after purchase can really benefit from this type of loan. That’s because when the closing costs are absorbed into the interest, they haven’t been paid back by that time, so buyers save money at closing and also when selling. Buyers who feel their financial situation will improve and allow for better refinance rates, or those who see a possibility for overall lower interest rates within a few years can make out very well with low closing cost mortgages. There are many more as well, and while not all of the loans listed above are a good option for every individual, knowing what exists can help you make sure you are getting the best value for your loan. Locking in an interest rate for a period of time can save some borrowers a lot of money. To get the best value it is important to know how long it will take to close on your chosen home. Talk to the Realtor involved and find out what to expect and how to time your loan. Banks will lock in an interest rate offer for a particular time, so that even if interest rates go up between the time you are approved for the loan and the time of closing, you still get the agreed upon rate. Rate locks are usually offered for 15 days, 60 days and may be extended for 15 to 30 day increments after that. The longer you need to have a rate locked in, the more a lender will charge. If closing gets pushed further than expected, and an extension is required on the rate lock, it can add up quickly. A 30 day extension can add as much as 25 base points, the equivalent of 25 percent. Read the fine print on your loan agreement. A lender may also charge a fee if you “blow” the rate lock. That means, if you don’t close during a given period of time, you may be looking at a very high cost.